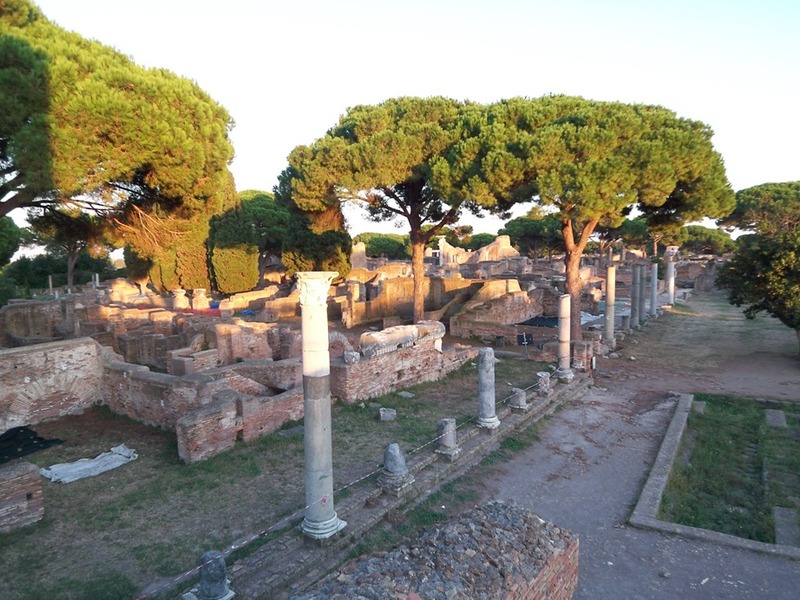 After the visit of Ostias’ director, Angelo Pellegrino, who was enthusiastic about getting his 2nd century Ostia turned into an almost complete late-antique Ostia, Axels team had the chance to extent their focus on the whole east side of the Forum, continuing north of the Decumanus (picture). While one part of the team started in the northern part of the portico, the rest was occupied in finishing two kinds of puzzles: Slabs that once had been destroyed by the collapsed portico columns (picture) had to be restored carefully, another puzzle was dedicated to a fully preserved inscription of the late first century (picture below). 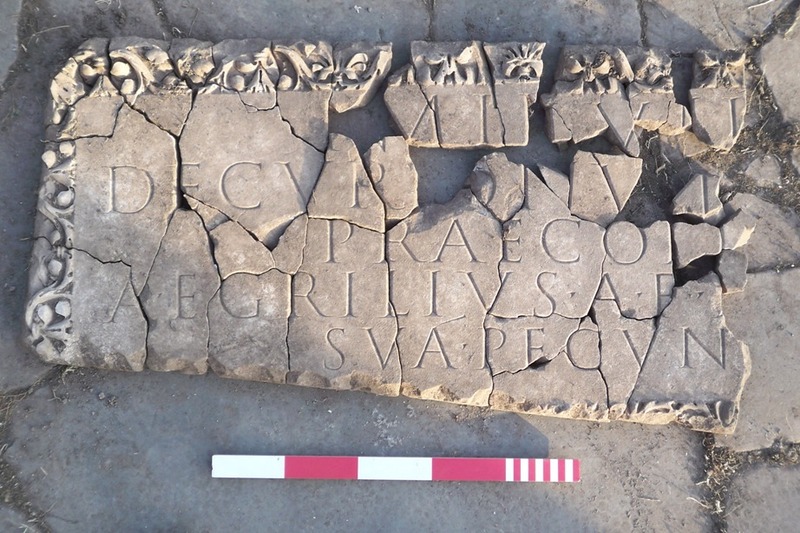 The inscription had been buried next to architectural elements coming from another monument, probably a doorpillar and pediment of the later second century. The monuments probably once stood on the nearby Forum plaza but were systematically cut into pieces for their late antique reuse as pavement. For more exact dating of the architectural decoration the German team was very happy to discuss details with famous guests, Prof. Henner von Hesberg and many more enthusiastic researchers from the German Archaeological Institute at Rome. 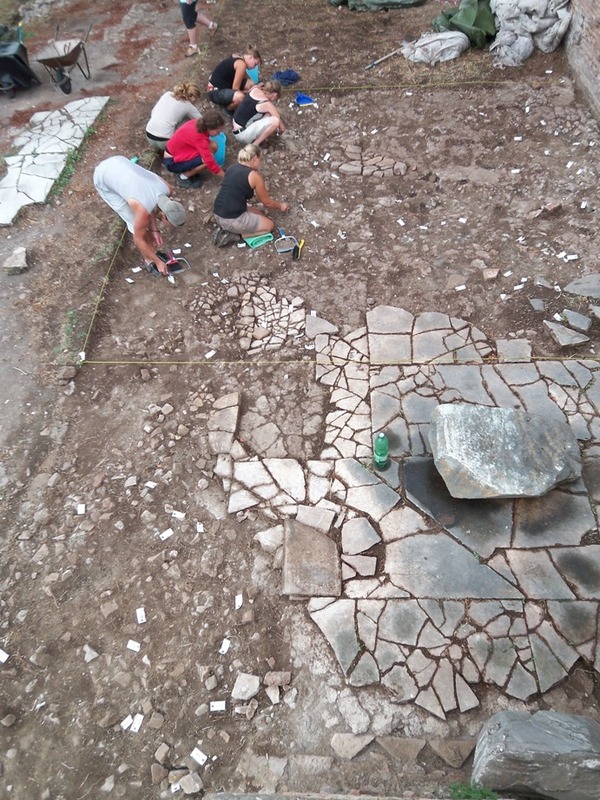 Their visit started at 10 o’clock in the morning and continued far into the afternoon, in order to get an impression of the many different sites now discovered by the Berlin and Kent teams.